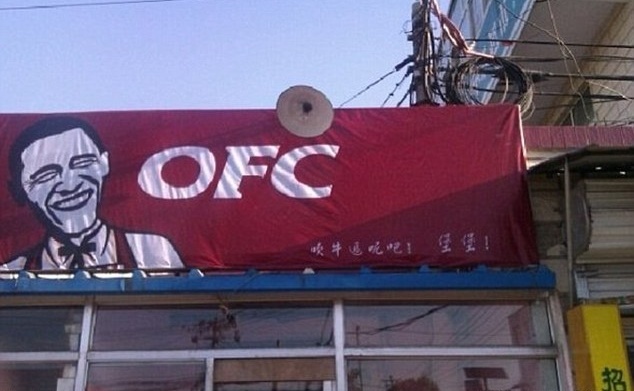 Someone in Beijing, China, created a restaurant called OFC, which stands for Obama Fried Chicken, except they copied the KFC logo and might some slight changes. And apparently KFC has made commercials in China with an Obama-lookalike. While verifying the story online, I saw where someone had opened a restaurant called “Obama Fried Chicken” in Brooklyn in New York City. That took some courage… There was a public outcry, but the owner said 4 out of 5 customers were okay with the name. I’m sure the owner knew what he was getting into — lots of controversy, which also means free publicity. Finding a good supplement is one of the vital factors to living a healthy life. For me, this vitamin has always proven to be the best. It just gives your body what it needs and it doesn’t have all of those nasty side effects as all of the bad ones. It’s also one of the cheapest ones out there. I haven’t ever thought of fried chicken as a vitamin supplement, but that works for me! The only side effect is that you might get fat. That reminds me — we need to invent a supplement made out of bacon… maybe add some cheese… and voila, you have the infamous bacon and cheese diet! If you could make that into a helpful supplement, we’d make billions! That might take a lot of research, but if it involves eating numerous combinations of bacon and cheese, sign me up! I can see it now: Buffet o’ Blog Vitamin Supplements — The only vitamins made with real bacon! They’d sell like hotcakes! I hereby copyright the idea, so I can get a cut of the proceeds!